The sights and sounds of nineteenth-century England come vibrantly to life in this haunting tale of an Irish girl dreaming of a better life, fighting for survival, and coming of age in a time of chaos and change. Amid the lush fields and gardens of an English estate, in a kitchen where every meal is a sumptuous feast, a young servant called Paddy anxiously hides her true identity. Desperate to keep the job she needs to survive, Paddy conceals her flaming red hair and covers her body. But the girl, whose real name is Mina, cannot conceal from herself the pain of her past---until she meets a man who convinces her to trust him, a man hiding sorrows of his own. To the mysterious Mr. Serle—the estate’s skilled and quiet chef---Mina dares to confess her identity and reveal a shattered past. And as Mina and Mr. Serle begin to know each other, an extraordinary journey begins---a journey of faith, adventure, and awakening that will alter the course of both their lives. “The suspenseful, episodic structure of their [Mina's and Mr. Serle's] unfolding tales, as well as the solemn formality of their narrative voices, is evocative of the period, as are myriad vivid details about everything from housekeeping to sea travel to religious and social discord in the mid-19th century. Even the melodramatic plot complications are based in historic fact and are true to the spirit of the Victorian novel." “This first novel is inspired! . . . This young girl could be one of our ancestors whose story was unknown or forgotten. Here is an opportunity to reflect on those who made America a nation that still welcomes the tired, the poor . . ."
"Told in the first person, Mina is a riveting, emotional tale that is full of sorrow, but also filled with hope. . . . Do not miss this terrific novel." "The hardships of poverty and displacement are tempered with hope, determination and the will to survive in this well-researched debut historical novel. Ceely's prose is graceful . . . and fans of the genre will appreciate [her] light touch and historical consistency." "A beautifully wrought tale. Mina is inspiring, engaging and enlightening." ". . . it [is] hard to put the book down . . . Jonatha Ceely creates characters who are as real as the kitchens in which they work . 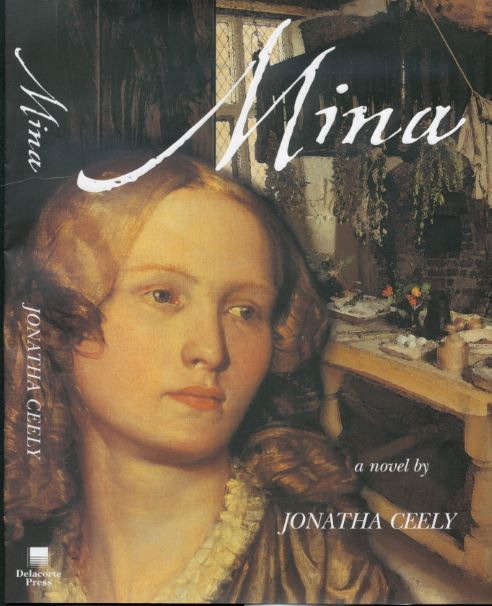 . ."
"Ceely has caught perfectly the beauty, cruelty, and the very essence of one England about to transmute into another. . . . A lovely book"
"Mina is an absorbing and suspenseful portrayal of daily life on a Victorian estate, filled with vivid and surprising characters struggling to find their way amid the social turmoil of the time." "In this touching novel, Mina and her brother Daniel begin a dangerous journey to America, but are soon separated. . . . you will feel immersed in Victorian England." "For those who love historical fiction, Jonatha Ceely's first novel is a delight. . . . In the face of relentless hardship and suffering, hope and perseverance prevail and leave the reader wishing for a sequel."